The series is initiated by the Foundation for International Studies on Social Security (FISS). One of its aims is to confront different academic approaches with each other, and with public policy perspectives. 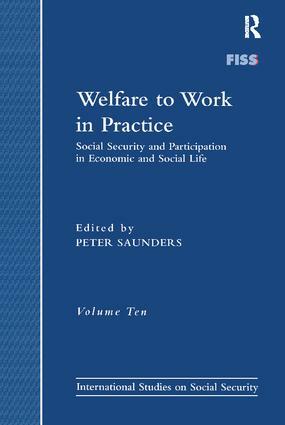 Another is to give analytic reports of cross-nationally different approaches to the design and reform of welfare state programs.